Some Russian missile systems can already attain hypersonic speeds as they approach their targets. Scientists working on Russian missiles are confident the new missiles will be able to attain speeds of almost 4,000 mph by the 2020s. The new technology is based on systems used in the warheads of the Yars and Rubezh strategic missiles. Russia’s Tactical Missiles Corporation plans to create a weapon that would be able to hit targets at hypersonic speeds by the early 2020s, according to a statement by Boris Obnosov, the corporation’s general director. The corporation is now working on this project with scientists from the Russian Academy of Sciences and the Advanced Research Foundation under the Military-Industrial Commission in a bid to produce a missile capable of reaching Mach 5, or around 3,800 miles per hour – five times the speed of sound. Viktor Litovkin, a military specialist for the TASS news agency, told RIR that some Russian missile systems can already attain hypersonic speeds as they approach their targets. 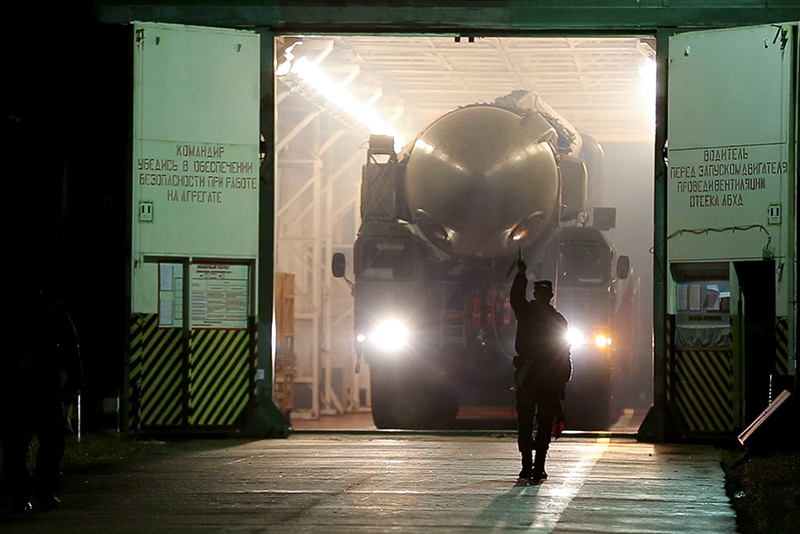 “These are warheads of the Yars and Rubezh long-range missile systems which, in the final stretch of their flight, start manoeuvering at a hypersonic speed to overcome the enemy’s missile defence system. The warhead of the Iskander-M short-range missile has the same capability too,” Litovkin explained. He said Russia does not, at present, have a missile that can maintain a hypersonic speed throughout its flight. According to an RIR source in the defence industry, the main difficulties in building the new weapons lie not only in developing an engine that would be able to work at a hypersonic speed over a long time, but also in the missile’s control systems. “At a speed of Mach 5, a cloud of plasma develops around the object that does not let radio beams through. That is why, if the missile deviates from its trajectory or there are any other problems during the flight, operators are not yet able to rectify the situation remotely,” the source explained. He went on to add that the technical basis for (and research into) hypersonic weapons dates back to Soviet times. However, after the breakup of the USSR, all research was abandoned in the 1990s and money for developing the new weapon began to be allocated quite recently. The biggest progress in development of hypersonic weapons has been made by the Americans. “The U.S. has built the Х-51 Waverider spacecraft, which managed to maintain a speed of 6,250 kilometres per hour [3,883 mph] for four minutes. However, those were one-off tests, without a warhead, or a guidance system. How the rocket will behave in full gear is still a question,” said the analyst. The corporation was set up in 2002, bringing together 32 enterprises specializing in the production of high-speed air-launched guided missiles. The corporation also makes guided aerial bombs of the KAB-500Kr type, torpedo armament (Shkval-E project), guided missiles for air defense systems, space rocket equipment and electronic warfare systems. It is 100-percent owned by the Rosimushchestvo federal property agency. The Tactical Missiles Corporation was the only Russian defense industry enterprise to show an increase in revenues in 2015 compared with 2014. It is one of the seven Russian companies on the list of the world’s 100 major arms suppliers compiled by DefenseNews. In 2015, the corporation had a revenue of $2.4 billion and occupied 37th place on that list.